Novelization of the 1982 Granada mini series about the young Sherlock Holmes, which pre-dated the Spielberg film. 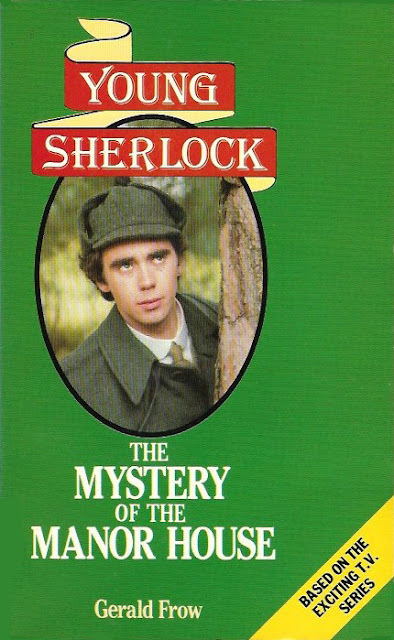 A novelization for the never made second series, The Adventure at Ferryman's Creek, was also published. You all know Mr Holmes–the greatest detective of them all. But where was this master criminologist before the great Baker Street days? Against what opponents did the boy detective first test his powers of detection? Granada now reveals the secret to you. Watch this thrilling television series and relive each exciting moment in this fast moving, action-packed book. Professor Moriarty–of course–is behind the skulduggery . . .